A new tour guide scheme has been launched. Visitors to the north-east will soon be welcomed by specially-trained tour guides who will be able to tell them all about the region’s rich history. Aberdeen University has teamed up with the Scottish Tourist Guides Association, (STGA) to offer a new green badge guide course from April. 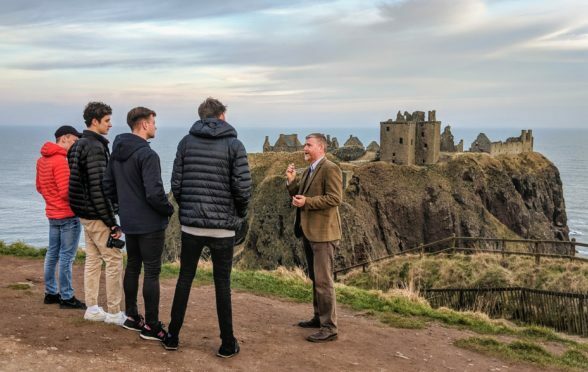 The STGA believes there will be a growing demand for guides due to the tourism boom predicted as a result of the multi-million-pound Aberdeen Harbour expansion and the opening of TECA. The first part of the course will be online, and subjects will include the history of Aberdeen, the Shire and beyond. Topics covered will include Doric, the fishing industry and the landscape and geology of the area. The second part of the course will be run by STGA trainers and will involve students being bussed to the area to visit and learn about the visitor attractions on offer so they can then pass this on in the future.